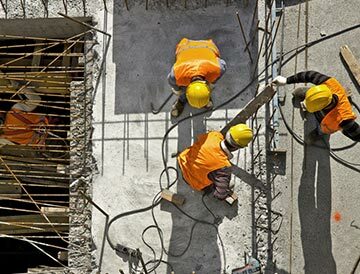 If you need a CSCS Green labourer’s card you now need to complete a one-day health and safety course before you can sit the online operatives environmental test. This training course is for people who are currently working in the industry and need to renew their cards, and for people who wish to seek employment within the construction industry. By the end of the Health and Safety in a Construction Environment course, the delegate will have a basic understanding of health and safety in a construction environment. Possess the necessary knowledge of site-related hazards to conduct their work safely. Be able to take responsibility for their safety and help to maintain a safe working environment. Understand how to conduct risk assessments, report any accidents and prepare a method statement. Recognise the risks of various aspects of the site including machinery, electricity, noise, manual handling and vibration. Finally understand the significance of health and safety signs and PPE. Delegates must complete and pass a classroom-based exam containing 40 multiple-choice questions relating to the content learned on the day. FUNDING MAY BE AVAILABLE FOR DELEGATES TO UNDERTAKE THIS COURSE ALONG WITH THEIR ENVIRONMENTAL EXAM AND THE APPLICATION FEE FOR THE CSCS CARD.